I'm sure most of you with daughters will have at one point bought them their own pushchair. I certainly have, my house is over run with not only mummy's pushchairs (little obssessed, just a little) but the children's too because they have all had one each over time. I also like to wear my youngest it a wrap/sling too. This leaves me with my hands free to be getting on with other things. It also means that when we are going out all day I can put Gracie in a pushchair and carry Layla, makes things a lot easier!! 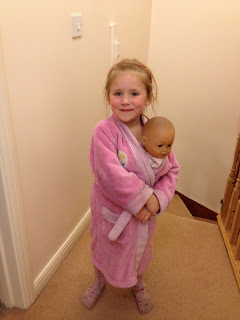 So when my 5 year old started copying me and trying to babywear her dolls by wrapping them in her dressing gown, as shown below, I decided it would be nice to buy her her own child size baby carrier. Surprisingly there are a lot to choose from on various sites. Most of them made by WAHMs (work at home mums). 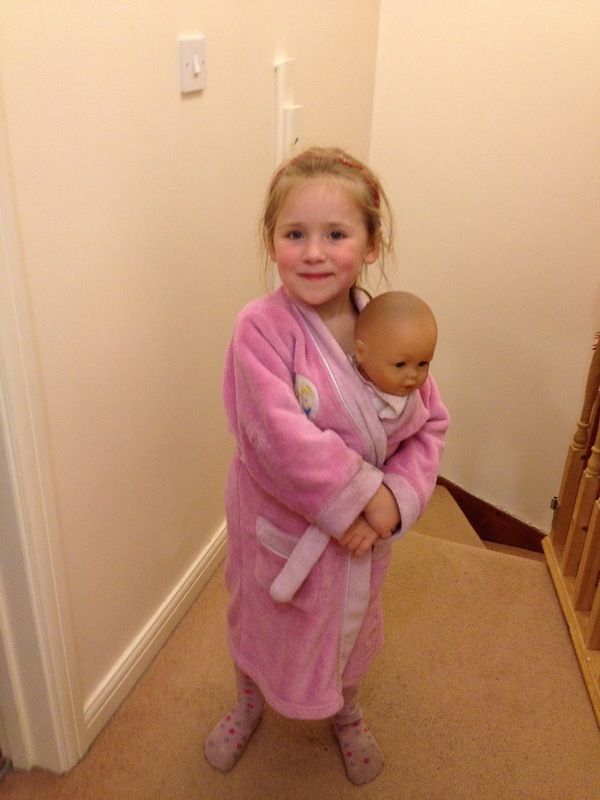 Here is Freya with her custom made mei tai carrying her baby. 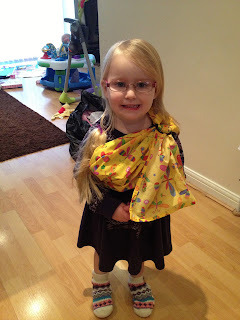 Of course her little sister then became jealous, so she was bought her own ring sling on her birthday to carry her dollies in. Rapunzel was nice and relaxed being walked around the house. I love watching them play like this, pretend play is fun, I just hope they don't try putting their baby sister in one!!! 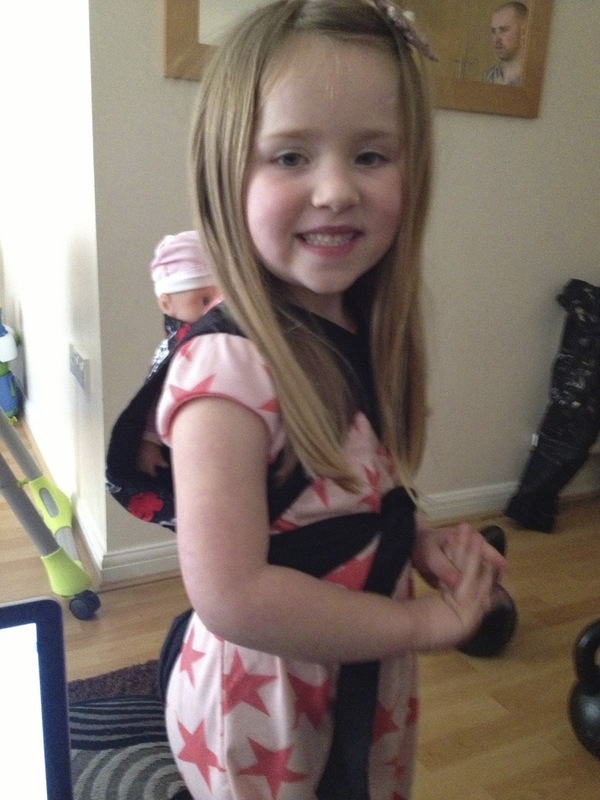 Have any of your little ones got their own carriers or would you consider buying one, would love to know. I am wondering if Dylan might like onw of these as he loves pushing his pushchair round and he sees me wearing his little brother all the time. They look gorgeous!